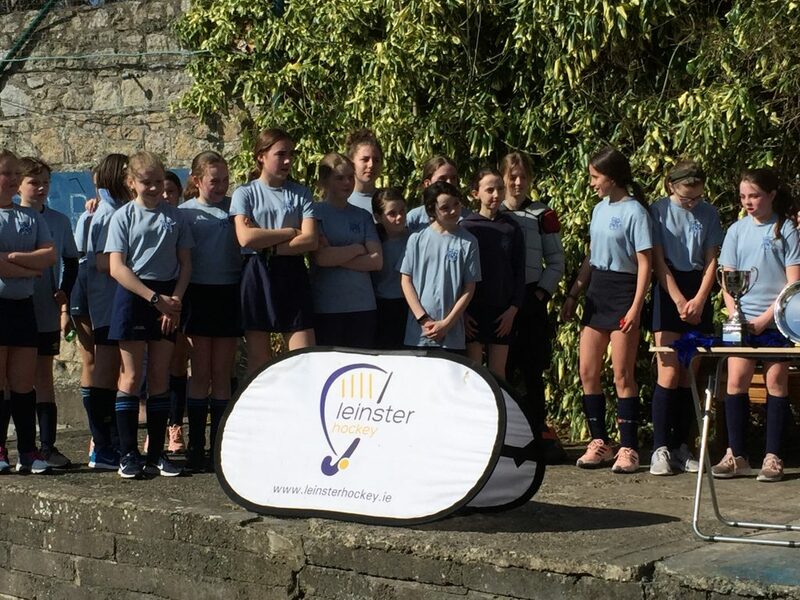 The RJS Girls hockey team did everyone proud in their Leinster League final at Three Rock Rovers this morning. There was great excitement in the air as all the children and teachers from Forms Two to Six boarded the buses straight after assembly to bring everyone up to Grange Road. It was a wonderful achievement by the girls to make the final in consecutive years. They had worked incredibly hard together throughout the season under their head coach, Mrs. Butler, and great progress was made along the way with some memorable victories against a number of other schools. Our two teams lined up against Scoil Mhuire, from Sandymount, a side that had only narrowly defeated RJS earlier in the league season. Both games pushed back shortly after 10:00, a wonderful number of cheering parents joining the RJS fans who encouraged the girls with all kinds of creative banners and signs. RJS started well in both games, which each saw end to end action. 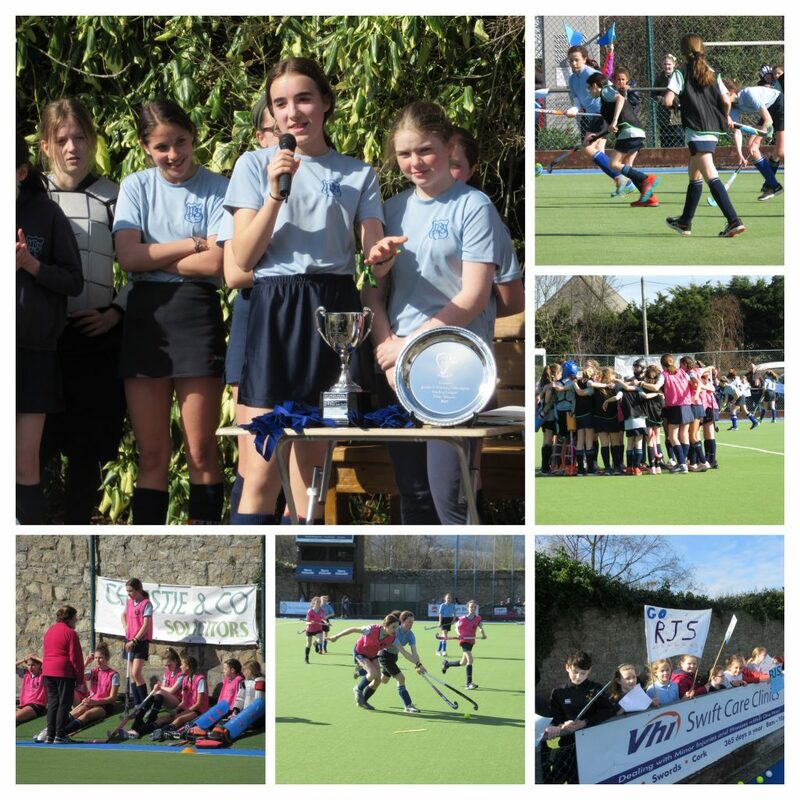 The sun streamed down on to the front pitch at Three Rock with a great atmosphere of friendly, sporting encouragement shown from supporters of both schools. At halftime one game was tied at 1-1 and in the second match RJS trailed 0-2; but there was still everything to play for at the turnaround. In the second half both matches saw our girls work really hard for each other, with some wonderful defending, saves, strong tackles, great clearances and pressing forward. Unfortunately our chances weren’t quite converted and it was Scoil Mhuire who strengthened their position, leading in both games as the finishing stages approached. Two late goals by RJS gave the girls great encouragement; however, just as the momentum began to shift in favour of RJS, the final whistle blew. 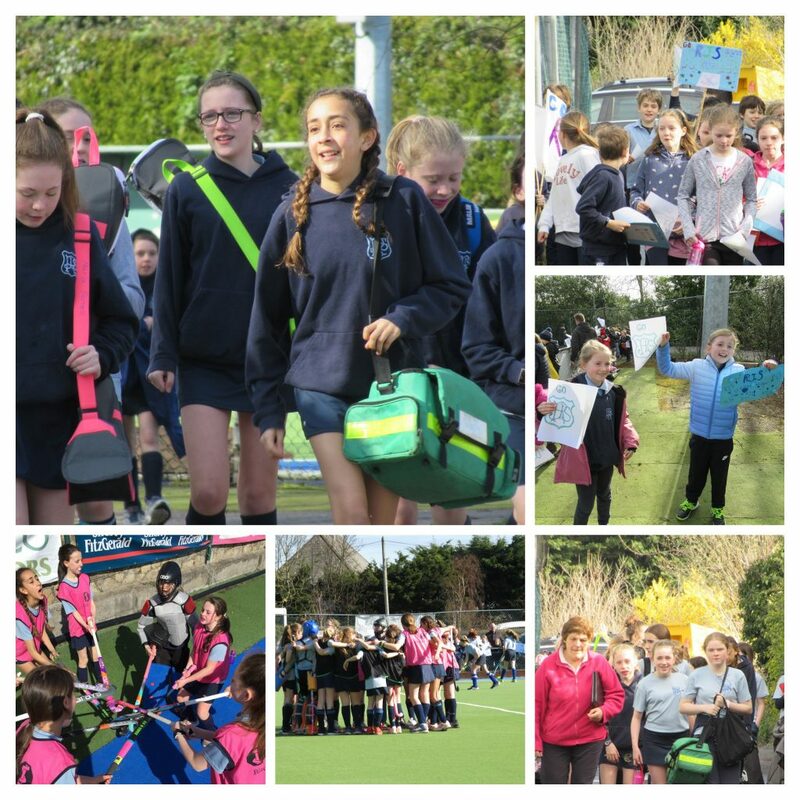 All our supporters – parents, teachers and children alike – could only feel great pride in the efforts of every player in the gracious, sporting way they conducted themselves after the game and at the presentation ceremony. Although the team felt somewhat deflated, they were still able to smile as they proudly wore their medals on the journey home. Congratulations and a big thank you to every single member of both girls teams and Mrs. Butler for giving us all a very special day to remember!